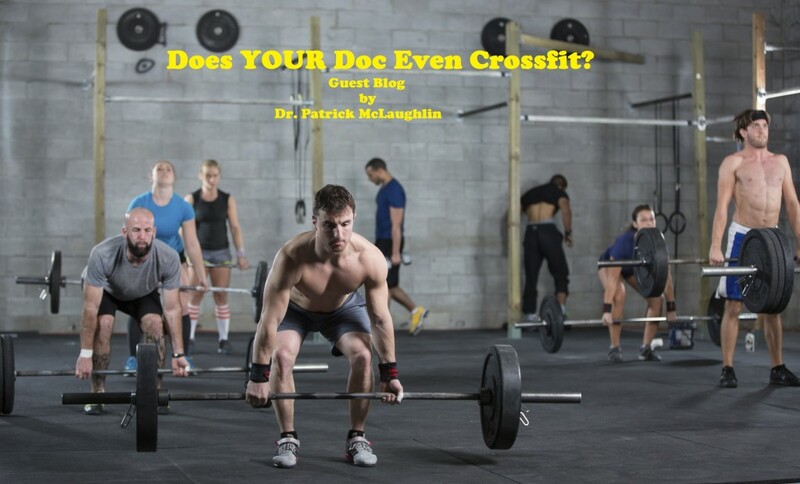 Does YOUR Doc Even Crossfit? The “Crossfit” exercise and fitness movement has been a booming rage over the past few years, and with that popularity, it has also come under scrutiny while also having a very strong and passionate following. 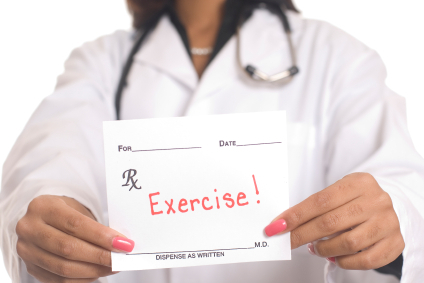 Anyone reading this who knows of “crossfit” does not need further clarification, but for any of my patients who are not familiar, the simple description is that it is a program focused on generally short, but high intensity, circuit-training style lifts and exercises which includes bodyweight and free weights. As a former division 1 NCAA wrestler, I certainly appreciated much of the utility when geared toward younger athletes and done in a safe manner. But as a “DocWhoLifts” and endocrinologist focusing on a patient population desperately needing to improve any type of exercise in their life, I’ve been skeptical that “crossfit” would be something I feel comfortable recommending. Dr. Spencer went so far as to engage in a weekend-long certification course to garner some experience and write about it. I decided that I would ask around for some opinions from those who have truly experienced it. The man I first thought of was Dr. Patrick McLaughlin. He is a fellow “DocWhoLifts,” a very good friend of mine and an extraordinary pediatrician. I knew he had enourmous success and enjoyment from Crossfit so he obliged by writing this guest blog. Now that you have read my disclaimer, let me begin by saying that I am a board-certified pediatric M.D. with a BS in exercise sciences and a master’s degree in physiology and biophysics. I have been an athlete my entire life (soccer, baseball, etc.) but then moved on to rowing in high school and college. I was a national champion, a division one collegiate all-academic/all-american and a former member of the U.S. Junior National Rowing team. Now I’m 35 years old, married with a baby at home, working full-time in a pediatric practice and an avid CrossFitter. I was asked by my colleague and good friend Dr. Karl Nadolsky to give my expert opinion on CrossFit as both a participant and a physician. I should mention that I am not a certified CrossFit trainer nor am I an athletic trainer; I am a pediatrician. I participate in CrossFit as an athlete and nothing more. For me, CrossFit has fit perfectly into my hectic lifestyle given the short amount of time required to complete a daily WOD (workout) and MOD (weight lifting movement). It provides me with a therapeutic outlet away from my profession and an opportunity to “compete” again. The atmosphere at a CrossFit “box” (gym) is very different from your typical fitness center. Classes, workouts and trainer instruction are designed to be BOTH personal and team-oriented which can appeal to both the individual athlete (think tennis and wrestling) and the team athlete (rowing, football, etc.) Our WODs remind me of those which we did in rowing, demanding and difficult. You are always striving to beat the guy next to you or achieve a personal best score or time, yet you were always encouraging your teammate to achieve his best as well. In rowing your boat was only as fast as your weakest man, so as much as you wanted to beat the guy sitting next to you, you also wanted to see him succeed. This phenomenon of competing against and encouraging others is unique to CrossFit, as if you were on a team. CrossFit fosters this environment; it is infectious and rewarding. From beginners to elite athletes, all are encouraged to achieve your best, not necessarily to be the best. I found success because of my background as an athlete, not because I am a physician, and I think this is important. As a pediatrician and an advocate for healthy living in general, I firmly believe that everyone needs to find an outlet for exercise much like we find time to brush our teeth. CrossFit could be that outlet for many people based on these facts: time commitment is less than 60 minutes, instruction is personalized and workouts can be scaled up or down to all skill and fitness levels. If you enter a CrossFit box thinking you will become buff and will master all the movements immediately, then you are wrong. CrossFit can get you in shape, build your endurance and strengthen your core. 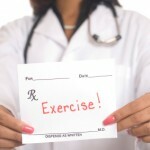 Like all exercise programs, what you put in is typically what you get out of it. You don’t have to study or follow the paleo diet (I don’t) and you don’t have to purchase weight lifting shoes (I did) to succeed. You just have to show up. Most people who fail exercise programs are either disenfranchised by one aspect or another of the program prescribed – too hard or not hard enough, not enough time, boredom, intimidation, lack of commitment. CrossFit attempts to prevent these excuses from surfacing by providing a welcoming environment that makes you want to come back. The WODs and exercises vary greatly and you do not have to come up with an exercise program all by yourself, a factor that limited my success when I tried to work out my own. By recording your daily WODs, personal bests in weight lifting, run times, row times, so on and so on, you create a yard stick to measure your success by. Logging your work is a much more effective and valuable way to calculate achievement versus measuring weight loss on a scale! 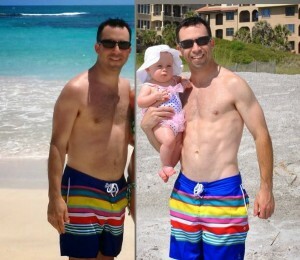 I began seeing changes in my performance (and physique) within 2-3 months. My clothes did not fit and I was getting faster and stronger than I had ever been in my entire life within 4-6 months. My 35 year version of me would impress and likely beat the 18 year old version by any standard. I found that I achieved the most success by scheduling which days I worked out and which days I rested based on my schedule and not based on which workouts I liked to attend. I spent time in “open gym,” time without a scheduled WOD, working on movements I was less familiar with (overhead squats) or those which I just performed poorly (double-unders). I supplement my CrossFit training with other events like running 5K’s or Spartan Races as a change of pace. I never practice running, but as my overall fitness improved, I saw my 5K time drop over 5 minutes to nearly 21:00, much faster than my 18 year old self. It’s just another yard stick that I use to measure my success and fitness level, and most people find their “yard sticks” along the way. I cannot comment on how non-athletes would fair in a CrossFit style gym because I do not have that experience. I work out with people of all different ages (11-75) and body types (petite to XXL), but the common thread among most of us is that we at one time or another had been in better shape and wanted to get back to feeling healthy again. Perhaps someone who has NEVER tried a sport of any kind could succeed if their willpower was strong enough, but I’m not sure. What I do know is both athletes and non-athletes are supported just the same and they would see goals met in the same way that I do. Lastly, I leave you with this final thought (and you do not have to be a medical professional to know): bad habits die hard and good habits are hard to come by. CrossFit is a great habit and should be considered as such for anyone who finds it. I think that there is an important element missing here: How to stay safe in Crossfit WODs. As lifelong athletes, you and I have most likely both built up excellent habits in regards to exercise form. As a result, when we get into a competitive setting we can move quickly and maintain form without a ton of effort. However, the “average Joe and Jane” have zero training in form, and there is no standard approach within CrossFit to address building good habits first, racing the clock a few months down the line. CrossFit has created a great environment, but they have immense variation in the quality of oversight, personal attention, and willingness to ignore form faults that make injury likely over the long term. This is an issue because we want people to have a fit lifestyle long term, and there is research from Dr. Stuart McGill suggesting that the way you move IN the gym also carries over to outside the gym… so, if you squat with a rounded back in the gym you aren’t ending your high risk behavior when you leave. Instead, you are actually ingraining a pattern of loading a flexed spine that carries over to pulling groceries out of the car, picking stuff up off the ground, whisking your kids up into your arms when you get home, and so on… things that happen every day, multiple times per day. To combat this possibility, I strongly suggest that we suggest people learn to ignore the call to “go faster, do one more, beat last week’s time” until their form has been consistently solid for a few months. Counsel them to do the WOD, but ask the trainers for form checks and ask for form-building exercises, and tell the trainers that they want to focus on form more than the clock, so that they can master the exercises and not get hurt. As they practice with perfect form, they’ll end up going faster anyways because it requires less and less concentration every workout, so their times will end up improving even though they aren’t intentionally speeding up. We have to recognize the difference between training for health and training “like an athlete,” because the more you push the boundaries the more risk you are taking, and pushing boundaries with bad form is definitely not good for our patients long term. That’s my opinion, having seen a number of people get hurt in boxes first hand from this very problem. In addition to the research on movement practice carryover, which jives well with the basic neurobiology of learning and memory, I see this with everyone I work with. It’s a real phenomenon, and most people don’t know any better. Crossfit can be very fulfilling, and is great for people on a tight schedule, but there are practical steps to approaching the training safely as a non-athlete, or even a highly competitive athlete who may have some form issues, that are often not implemented by the box itself. However, we can teach the basics of successful entry, which I outlined above.